We live in truly exciting times. Less than a decade ago, a charismatic man in a turtleneck announced One More Thing and made millions of people enjoy using computers in a brand new and inherently mobile way. 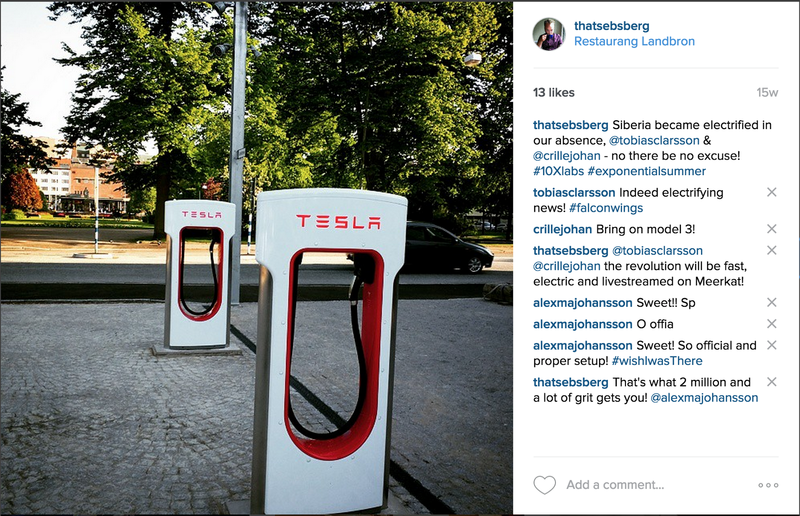 The Tesla Model S can these days be seen not only along the straight boulevards of Palo Alto, but indeed even in the remote corner of Sweden where this post is written at spitting distance from the world’s first privately funded Tesla Turbo Charger station. Technology is improving fast, and to the curious observer this reveals an exponentially increasing tool box for crafting a future that is better than today. Right now can also be perceived as a scary time to be alive. Global warming is an ever present thought throughout people’s daily lives, and Europe is struggling to figure out how to handle increased migration flows due to unrest and economic failures of national proportions. The legacy institutions of old — governments as well as titanic corporations — are failing, or losing relevance in the face of the onslaught from new powers brought to life and rapid scale by digital technologies. In Paris, taxi drivers are burning Uber cars. Times are a’changing, and that can be scary indeed. So what to do? We believe that the most sound method by which to ride this wave of accelerating change and perpetual uncertainty is to create a surfboard built on converging exponential technologies and guided by a clear, bold and long-term purpose. This to us makes perfect business sense because it is a (very!) ambitious move, meaning that it’s an essentially wide open blue ocean and that the only competitors we’re likely to meet anytime soon are some of the best, craziest and driven people in the world. We want to meet those people, and avoid markets defined by the fearful. We want to solve wicked problems shared by more than a billion people. Partly because that leaves ample room for growth but above all because we see that technology makes thinking at this scale possible, and hence ambition should follow up the same curve. In other words, now is the perfect time to co-create the future of human inter-planetary transport by launching a Hyperloop startup. So what’s a Hyperloop, you may wonder? At the most basic level, it is the idea that’s indeed possible to freight people and cargo at insane speed inside pods propelled through really long vacuum tubes stretching across continents and in between cities. It’s really a very old idea, but it was re-ignited in 2013 when Elon Musk added his super-credibility to the concept by releasing this open source white paper. He sketched out why and how to build such a system at scale, named it Hyperloop, and encouraged the world to make it happen. Had your average person proposed the very same concept on reddit, no one would had cared, but when the PayPal-Iron Man of Tesla & SpaceX did it the world was smitten by this utterly bold and very infectious idea. Since then, two startups have been formed to forge reality out of the Muskian imaginations. HTT is a company currently building their own test track near Los Angeles, and they rely on a unique use of crowd-sourced engineering talent to run fast with this massive undertaking. Hyperloop Technologies is manned by a cohort of former SpaceX OGs, most notably Brogan Bambrogan, with Peter Diamandis and other exponential cowboys making out the board. Hyperloop Tech is also building the core technology for the system to work at scale, and hope to demonstrate precisely this by the end of 2016. Very recently, the company attracted Rob Lloyd, former president of Cisco, to take the helm as CEO. To help things along, SpaceX itself is hosting an open design contest for Hyperloop pods that will take place in Hawthorne, Los Angeles, during the coming summer. It is happening. These are early days yet, but in less than a decade, this will be the next Tesla-esque story taking place all over the world. This we believe, and this we want to contribute to. 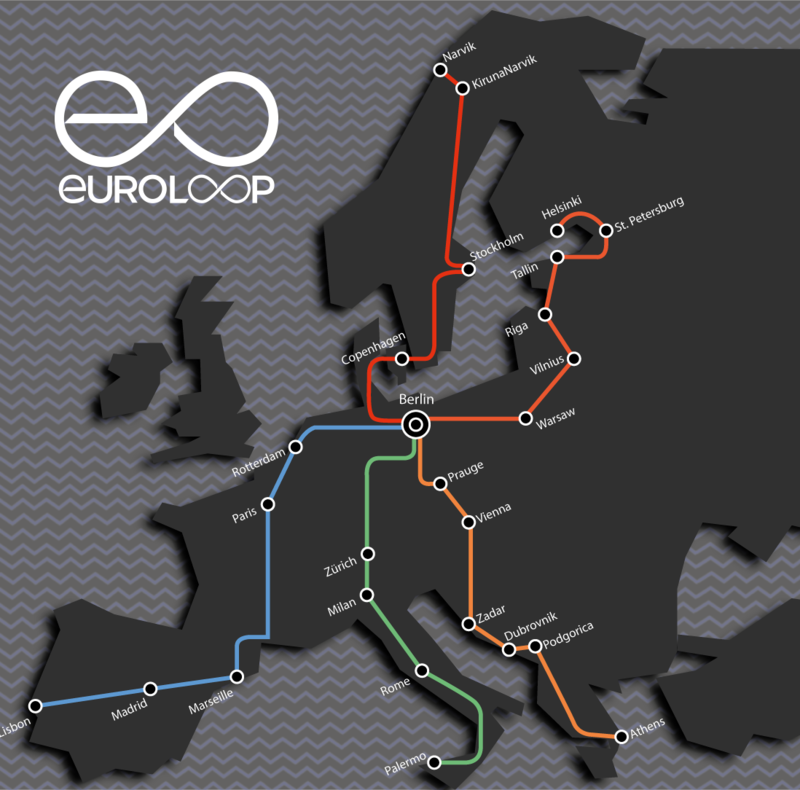 Our way of doing so we’ve named the Euroloop. 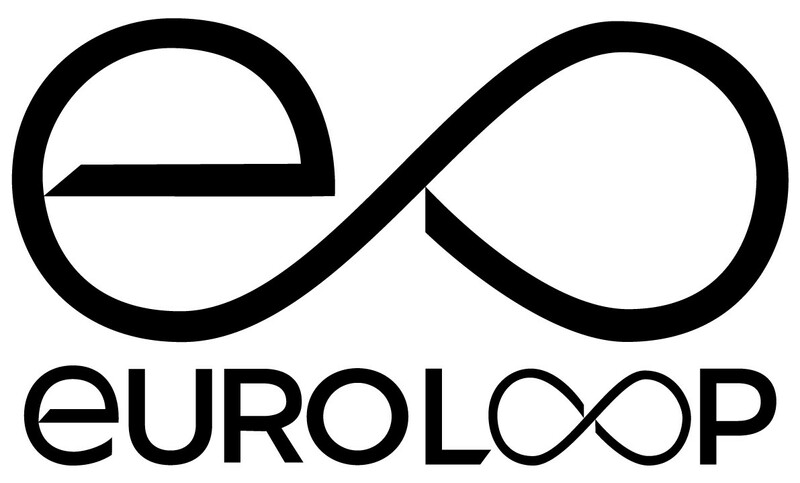 Euroloop is currently a future forecast of this technology when it’s applied at scale across the continent of Europe. It is a minimum viable prototype for attracting a tribe, one that is passionate about purpose-driven engineering. Hyperloop Technologies and HTT are building the core technology, with the wizards of SpaceX unable to keep themselves from contributing also. This constitutes an emerging pattern of opportunity, and we see that now is the time to compliment the hard science done by the players above with explorations into pod design, user experience, business modelling and more. Sure — several years, many breakthroughs as well as pitfalls remain before the first commercial pod zips through vacuum at the alleged 1000km/h speed. Failures will happen often, and success will come sooner for it. Yet, as can be seen from our poster, it’s possible to attract the attention of Fortune 500 companies with this promise of tomorrow already today. We believe that tribes lead the way and that the only way to remain safe in ever changing times is to do what is deemed too hard to try by those who do not dare. 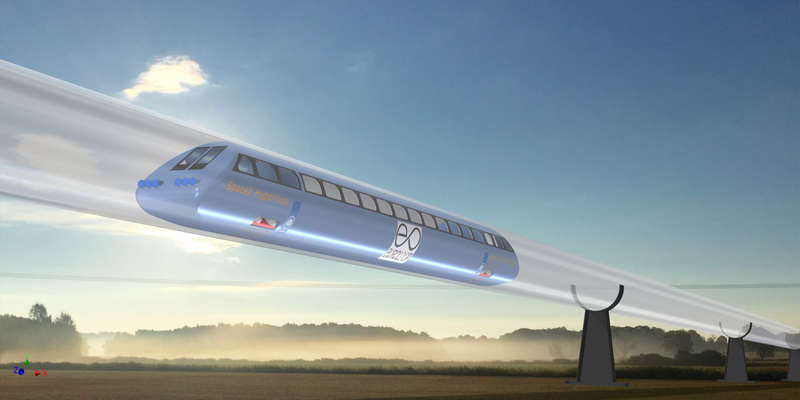 We call this tribe 10X Engineering, and we’re launching a Hyperloop startup right now. On Saturday October 3rd, at the Innovation Lab of Blekinge Institute of Technology and in collaboration with Volvo Construction Equipment, we will prototype Hyperloop pod designs on our custom-built test track. Some 25 agents (engineers) from the university will join the tribe and begin a journey that we hope will take us not only to the SpaceX contest grounds in June but far beyond and into long stretches of high-speed vacuum. As adventures of engineering go, this one’s right up there with Sputnik! If this excites you, we’d love to talk and co-create that which ought to be. 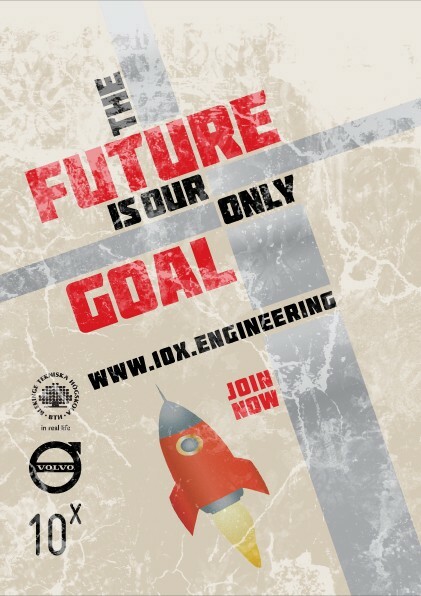 For those of you, dear readers, that are currently studying engineering at the Blekinge Institute of Technology — click below & join the exponential party! Thanks to Tobias C. Larsson and Christian Johansson.